We Spoke is a young contemporary music ensemble. Honoured to be the first Swiss ensemble invited to the international festival of Darmstadt, we are requesting your help to make it happen. We are We Spoke! 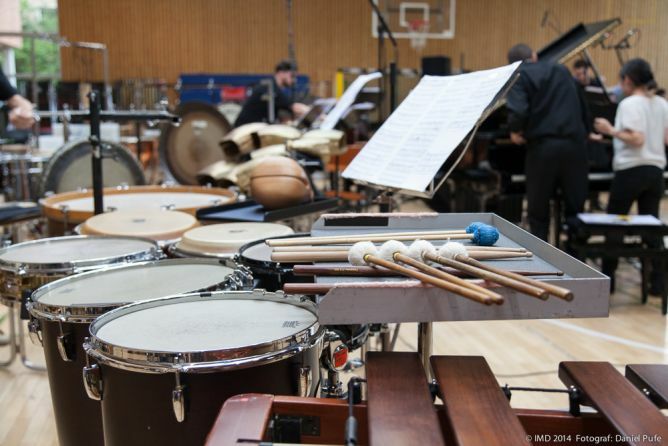 Based in London and in Switzerland, we are a contemporary and experimental music ensemble. Above all, we are a group of percussionist friends who dedicated to exploring the various trends in contemporary music. Our approach is focussed not only on creation and interpretation but also on staging and set design for the works we present. Thus, we collaborate regularly with Composers, Artists, Stage Directors, Dancers and Choreographers in order to bring an original and virtuous view of today’s music. We perform regularly in Switzerland and in London, and go on tour several times each year to destinations like Paris, Berlin, Barcelona, Lima, Sao Paolo or Rio de Janeiro. Curious to know more about our productions and our schedule? Simply visit our website. We Spoke members: Julien Annoni, Julien Mégroz, Olivier Membrez, Robert Torche and Serge Vuille. 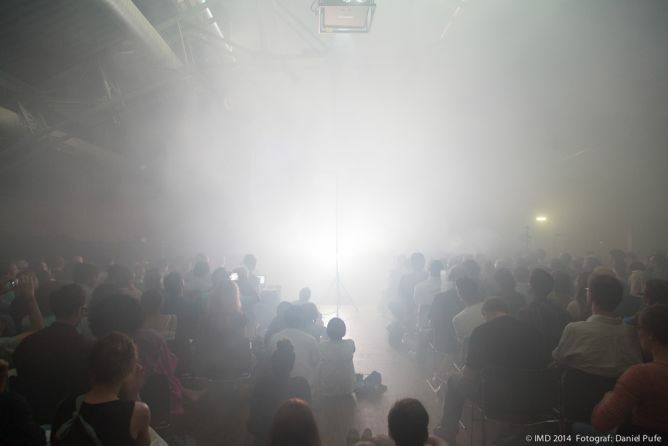 This event is widely recognised over the world as one of the most important events for contemporary and experimental music. 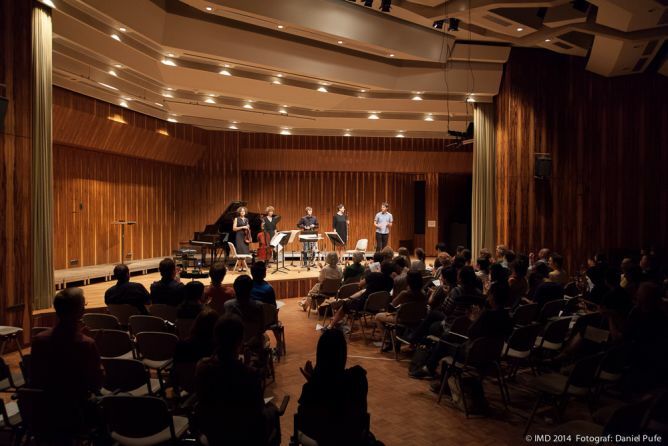 It brings together more than 300 participants, talks, rehearsals, masterclasses, workshops and concerts. 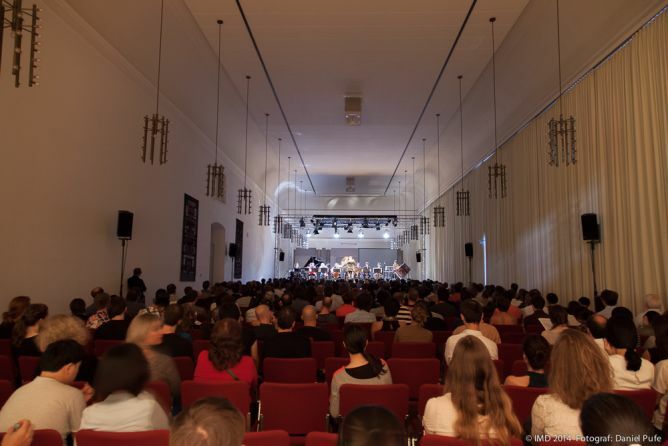 It is a meeting point for composers, performers, sound artists and musicologists – the hotspot for contemporary music. We are proud to be the first Swiss ensemble to take this role in Darmstadt. This is an incredible opportunity for We Spoke to learn, to develop the identity of the group, to present our most recent work and to make contacts on the international scene. working on musical theatre pieces such as ’Les guetteurs de sons’ by Georges Aperghis with the composer himself. We will finish our residency with the concert ’Carte Blanche’ to We Spoke’ on the main stage. Our concert will include a new work-in- progress piece by Simon Løffler, commissioned specially for us by Darmstadt! In a nutshell, this residency will be very intense and will enable us to learn, share our work and develop some contacts. Why do we need you support? Darmstadt will give us a room for two weeks and will take care of all production and technical aspects. The festival has also commissioned Simon Løffler to create a new piece for us but is unfortunately not able to cover all of our costs. That’s the reason we need you! First of all your support will enable us to find a roof over our heads; in other words to rent a house that we will share for two weeks, which will cost 2200 CHF. If we exceed our first funding goal, you will contribute to our essentials (pasta with vegetables!) and even our journey. We plan to spend 1125 CHF on food for all of us and 2500 CHF regarding transport (including musicians and equipment). All of the participants are committed to this project without being paid. We can’t refuse this invitation, but also can’t do it without support. Your support will enable us to cover general expenses and will give us the possibility to concentrate on music, experimenting and exchanges. This project ended successfully on 28/7/2016 14:00! You will receive a postcard from Darmstadt signed by the team. We will send you 3 We Spoke pencils as well as a postcard from Darmstadt signed by the musicians. We will offer you our double album Different Beat (music by Fritz Hauser) recorded in 5.1 surround sound. You will also get a postcard from Darmstadt. We will offer you a years membership to «We Spoke: Friend» which means you will receive news about the band and have the chance of exclusive meetings with the musicians. More info here: http://www.wespoke.ch/en/we_spoke_friends/ We will also send you a postcard from Darmstadt. We will send you a digital picture story (at least 20 pictures) of our trip and residency in Darmstadt. Of course, we’ll be pleased to send you a postcard from the festival. We will be delighted to send you our double album Different Beat (music by Fritz Hauser) recorded in 5.1 surround sound and signed by musicians and composer, as well as a postcard from Darmstadt and 3 We Spoke pencils. You will receive news updates from our residency. In addition to the postcard signed by the team, we will regularly send you some exclusive videos lasting roughly one minute between 29th July and 14th August (at least three) from the festival. One of the We Spoke musician will give you a percussion/drum lesson for 2 hours in Bévilard, Bienne or London. We’ll also be pleased to send you a postcard from Darmstadt to give you some news of the project and to thank you for your support! To thank you warmly for your support, Serge Vuille, artistic director and musician of We Spoke will invite you to spend two days and nights at his place in the very heart of London (including breakfasts). We will also send you our double album Different Beat (music by Fritz Hauser) recorded in 5.1 surround sound. We won’t forget to send you a Darmstadt postcard signed by the entire team. One of the musician will arrange a surround sound listening session of our album Different Beat (music by Fritz Hauser) at your place (in Switzerland or in London). Of course, we will make sure you will receive a postcard from Darmstadt! Serge Vuille will perform a 45 min private gig, just for you and whoever you want! It can take place either in Switzerland or in London; we will organise a date for the gig together. He will interpret pieces from Alvin Lucier, Philip Glass and Matthew Shlomowitz. We will also send you a postcard from the festival. Julien Mégroz will perform a 45 min private gig, just for you and whoever you want! It can take place wherever in Switzerland, we will organise a date for the gig together. 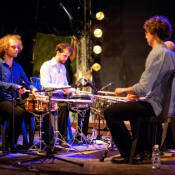 He will interpret pieces from Maierhof, Mégroz, Hauser et De Mey, from the programme NO HIT NO KIT (plus d’info: http://www.julienmegroz.ch/no-hit-no-kit/) Of course, we will also send you a postcard from the festival. To thank you for this massive help, We Spoke will offer you a private concert in Switzerland. Programme, date and place by agreement. 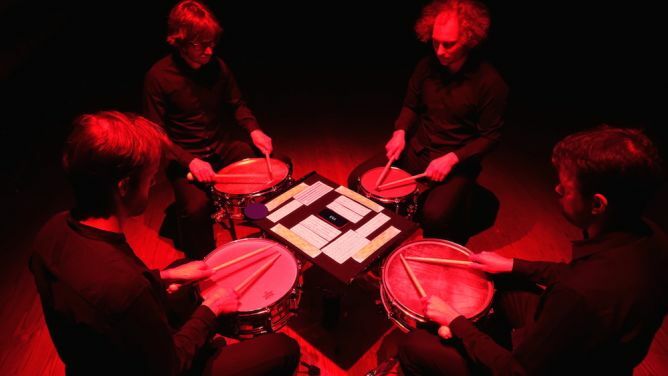 We Spoke: New Music Company is a contemporary music collective based between Switzerland and London and directed by percussionist Serge Vuille. We Spoke merges «we speak» with «bespoke» and explores the different languages of contemporary art music. Each production of the group focuses on one particular theme and approaches it both in terms of musical interpretation and live performance.